Red Bull Introduces Three New Flavors In Canada! Red bull helps you stay awake and on your feet. Red bull gives you energy and, of course Red Bull gives you wings. I’ve always been a huge fan of Red Bull and when I heard they were introducing three new flavors in Canada I was excited. 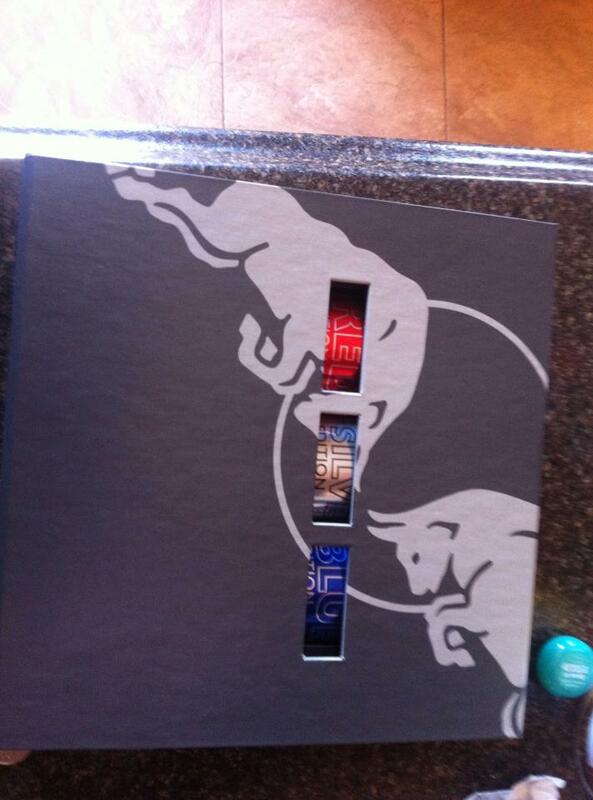 The three new Red Bulls are the red edition, silver edition and blue edition. The new editions are the same lightly carbonated formula as the original Red Bull but the taste will be enhanced by the new crisp flavors. The launch of the new editions and the innovation in flavor came from the very successful Red Bull Total Zero which was launched in 2012. The new editions were launched nationwide in Canada in March of this year. The Red Bull editions are sold as single 250 ML (8.4 oz) cans for $2.60 at your local variety stores. The Red Edition-This one is by far my favorite out of all the red bulls! This one has a sweet, tart cranberry flavor. Of course, it’s the red edition so the liquid is red and is in a bright red and silver can! The Silver Edition- The silver edition gives a cool taste of fresh lime in the sleek silver and pewter can. The taste is rich and is very bold. The Blue Edition- Finally the blue edition gives you a fruity burst of blueberry in its cool silver and blue can. Red bull vitalizes the body and mind and is for anyone who is looking for an energy boost. Not only does it vitalizes your body it also improves your performance, especially during times of increased stress or strain it also increases concentration and improves reaction speed and stimulates metabolism. I highly suggest everyone try each one of the Red Bull new flavours! It’s worth it. You can let Red Bull know which flavour is your favorite on Twitter. Hashtag the one you like the most!